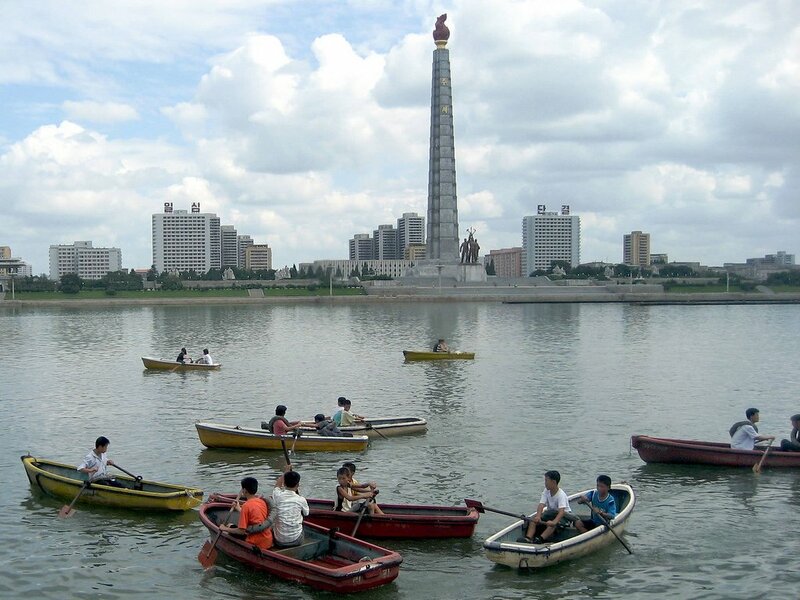 PYONGYANG — Although infrastructure in North Korea has steadily grown since the nation’s independence in the 1940s, most of it is still in a poor state, old-fashioned, and the pace of construction lags behind the world. Here is a more detailed yet brief review of infrastructure in North Korea. Transportation in North Korea mainly relies on the railway, which was originally built by Japan in colonial times. This mode of transportation was improved with the aid of Soviet Union in the 1960s and China in 1990s, and the 3,100-mile railway in North Korea accommodates 70 percent of passenger transport and 90 percent of freight each year. Harbors and airports in North Korea are far from complete modernization. Merely two of 12 harbors are able to handle large-size ships, and 27 out of 49 airports have unpaved runways. Sunan airport in Pyongyang, the unique international airport in North Korea, operates 20 flights towards six destination cities each week. In addition to the energy shortage of oil, gas and steady power, the telecommunication services in North Korea is also far from well-developed. In 1995, 1.1 million telephone lines were in use and this number increased to about 1.2 million in 2010; however, most of these new landlines are prepared for senior governmental officials. There are 12 radio stations and 38 television stations with 3.36 million radios and 1.2 million television sets in use. Only one Internet service provider works in North Korea and random dials of international calls are banned in the nation. The Trans-Korean Railway was constructed in 2000, and from then on, the operation underwent a variety of setbacks in the following years. Russia had promised to transmit surplus electricity to North Korea in exchange for the proposed projects on Railways or Pipelines. But related projects on gas pipelines normally require tripartite Summit upon discussion among North and South Korea as well as Russia. Projects of highway construction — such as Gaeseong-Shinuiju Highway — are expected to satisfy the logistic demands of manufacturers and merchants from South Korea and northern provinces of China. Several funding agencies in U.S. and Europe as well as supranational institutions plan to provide support to the highway layouts in similar fashion to other on-going gas and pipeline programs. In 2015, an overall governmental plan in North Korea gave priority to expanding and modernizing infrastructure in 13 open-up districts. Economic Development Association takes responsibility of that plan, which covers road construction, power security, communications security and other related issues. As principled to give priority to infrastructure constructions, North Korea attempts to reinforce international exchanges and cooperation through the zone of economic development. Capacities of labor forces is a challenging problem for this event. In sum, developing infrastructure in North Korea is required to overcome a significant amount of long-existing and difficult obstacles. Understanding national facilities is essential to economic growth and progressive constructions, especially in regard to infrastructure in North Korea.